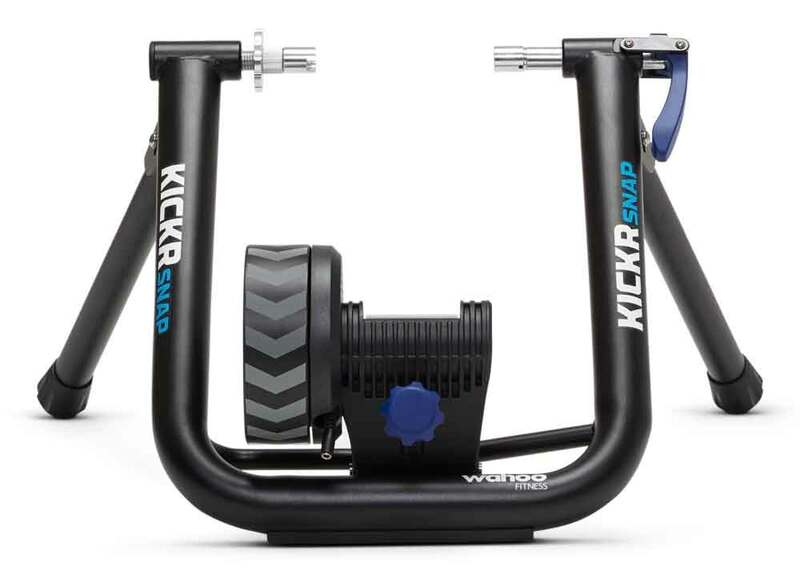 ‘The most realistic ride experience of any wheel-on bike trainer.’ We tested this claim on the KICKR SNAP, a $700 unit from Wahoo. 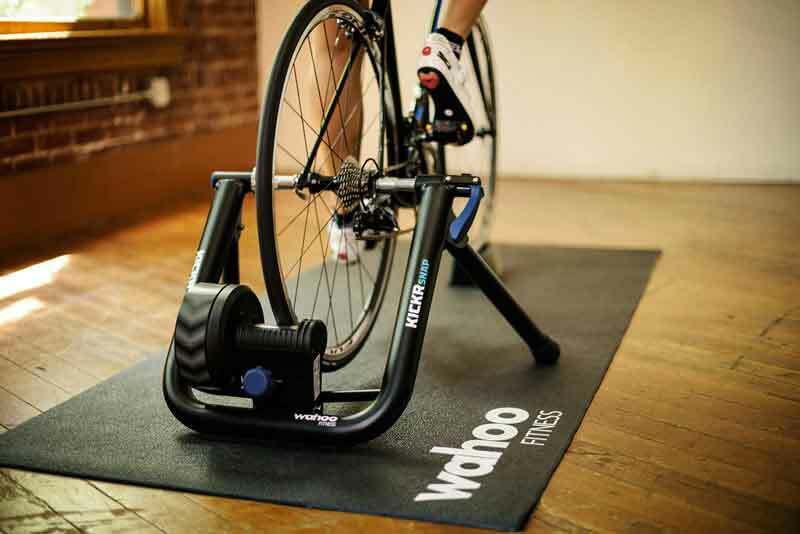 Wahoo makes some of the best bike trainers on the market. The SNAP, its newest trainer, is a model that brings nearly the same high precision and performance as its flagship KICKR model, but for $500 less. If you read our story about the “gamification” of cycling and want to get into it, this is an excellent place to start. 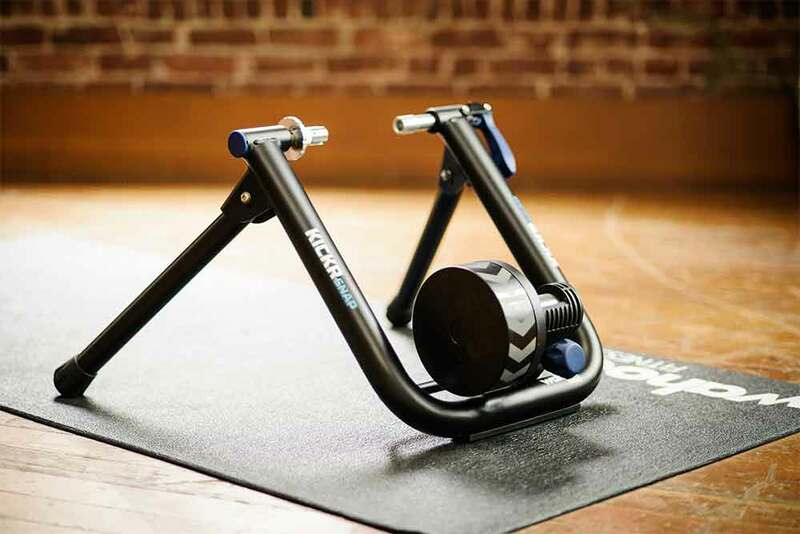 The SNAP is a “wheel-on” trainer, like most others on the market, as opposed to the market-shaking WAHOO KICKR, for which the rear wheel comes off. The SNAP uses electromagnetic resistance to control your ride based on signals sent from your software program of choice. It is our top-choice for getting set up on an interactive indoor cycling program. Are You Playing Star Wars On That Thing? I’ve been riding indoors on mine so often that recently my buddies have taken to asking me “Are you playing star wars again tonight?” They’re referring to my avatar flying through virtual reality as I pilot my two-wheeled machine on the screen, usually riding on the virtual island of Watopia in Zwift. The SNAP is a premium quality, easy-to-use trainer that I really like. Its design is not unlike a Computrainer, which has been around for 25 years. But the SNAP has evolved the details and costs a third of the price, which is what drew my attention. The most basic Computrainer (the historical gold standard in this market) has come down and now sits at $1629. That is well over double the price of the SNAP at $699. Wahoo established itself as a premium player because of how good its “wheel-off” trainer is, the original KICKR. But some people put their bikes on and off the trainer often, and on the KICKR you must remove the rear wheel and put the chain around the set of gears. It’s a greasy-finger hassle. The SNAP is a “wheel-on” trainer, which is so much easier. Although it does not provide as direct an interface between bike and trainer, only at huge efforts like a short sprint is any slippage noticed – and it’s very slight. The ability to leave your rear wheel on is not the only design change between the two. The SNAP has a slightly smaller flywheel and cannot apply resistance above 1100 watts (whereas the KICKR goes up to 1550). The SNAP is nice and stiff, the clamp for your bike is the best in the business, and it has always worked with no complaints. I wish all bike trainers were as easy to use as the SNAP. I found the accuracy with which the SNAP measures power out of the box is not extremely precise. If you are a rider that needs absolute accuracy, there are ways to get the machine dialed, but it’s frustrating it isn’t easier to get set up for that precision. If you use it right out of the box like most buyers, you are going to get a workout that is both engaging and effective, but the power accuracy could be off a bit. It will not necessarily impact your experience, only the reliability of the data for comparison to your other power meter or coached training plans. Admittedly, the original KICKR provides a slightly better experience, but it’s not enough to justify the inconvenience of taking your rear wheel off unless you’re someone who parks your bike on the trainer for weeks at a time. But the real kicker (pardon me) is that the SNAP costs about $500 less than the original KICKR at an MSRP of $700. –See all product details on Wahoo.